I’lll admit it. 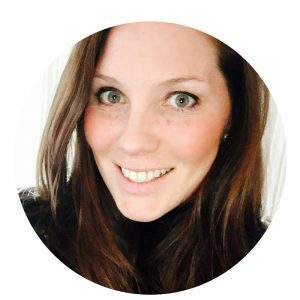 My kids (and I) have been completely spoiled by On Demand, DVR, Apple TV, etc. We know what we want to watch at all times, access it from somewhere, and stream it, often without commercials. Well occasionally, like during sports games, I want to watch something live! Now I honestly can’t remember a time when I watched a tv show during the day with my kids home, unless it was sports. Enter, the game day busy bags. 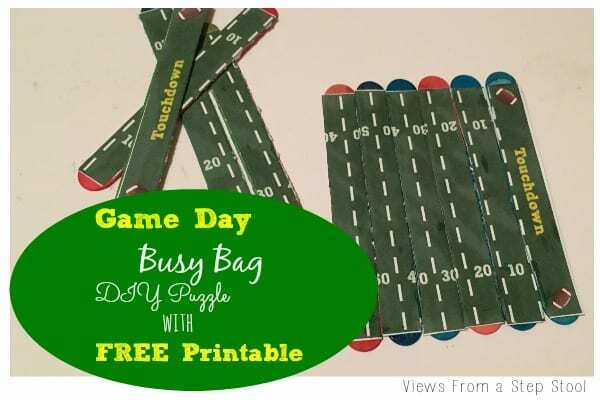 This one is football themed, and has a sole purpose of keeping the kiddos busy while I’m watching football. 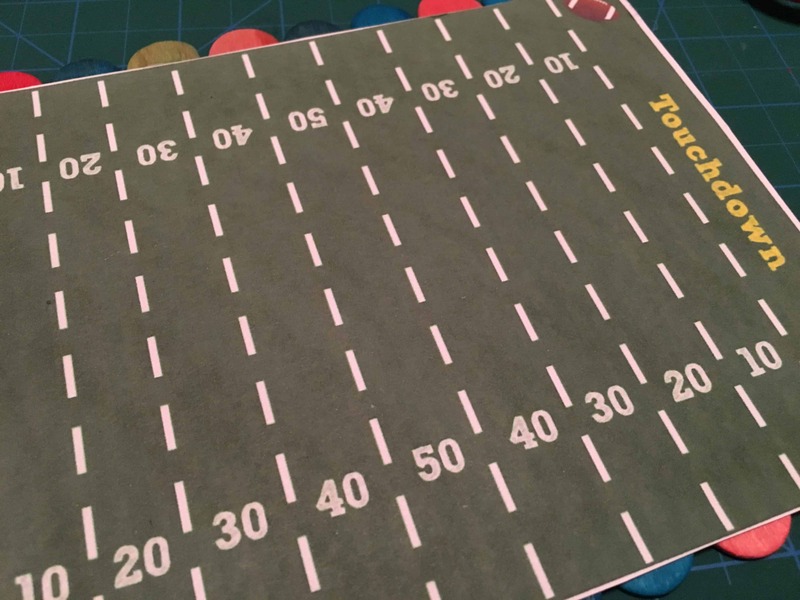 It’s football-themed so that I can share my love of football with them, and hope that it will further reinforce just how much fun the sport is, and how we should all LOVE to watch it on tv…makes sense right? 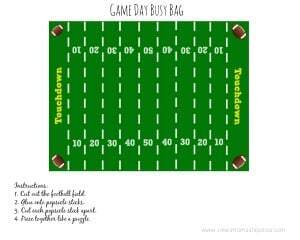 Download the printable below to make your own busy bag! 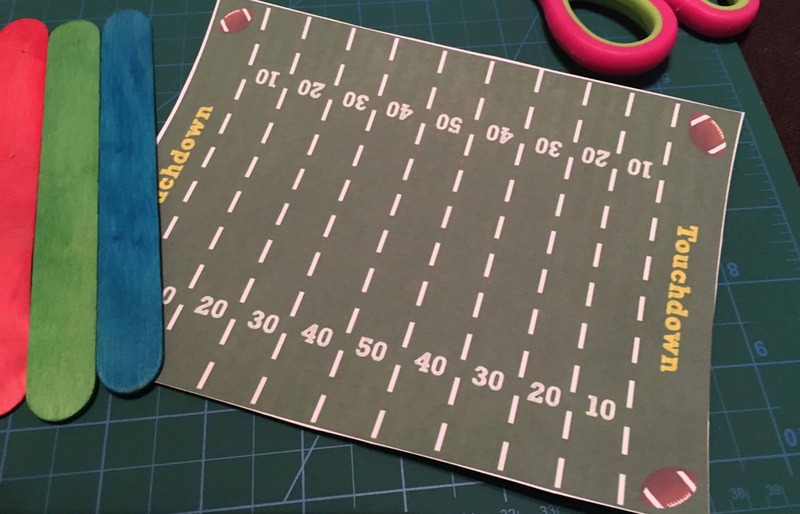 Cut the football field out of your paper. 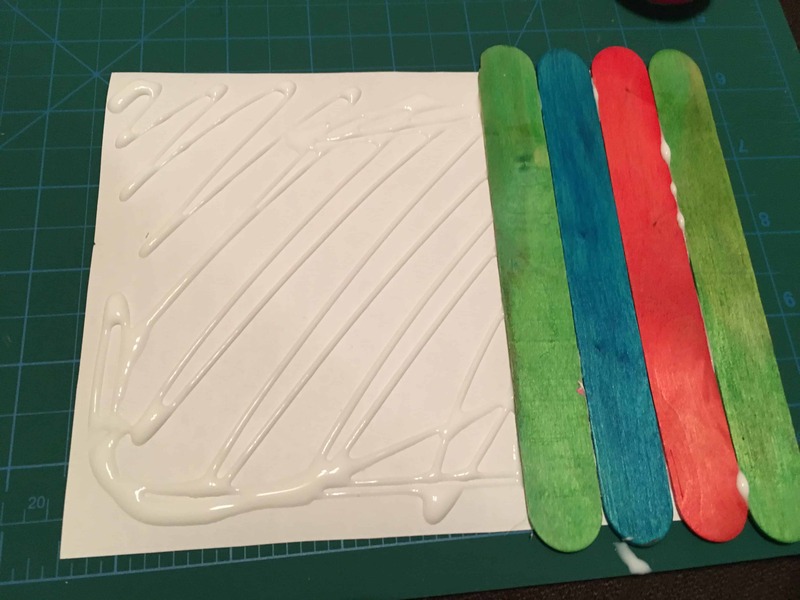 Glue 10 jumbo popsicle sticks onto the back of the cutout in a row. 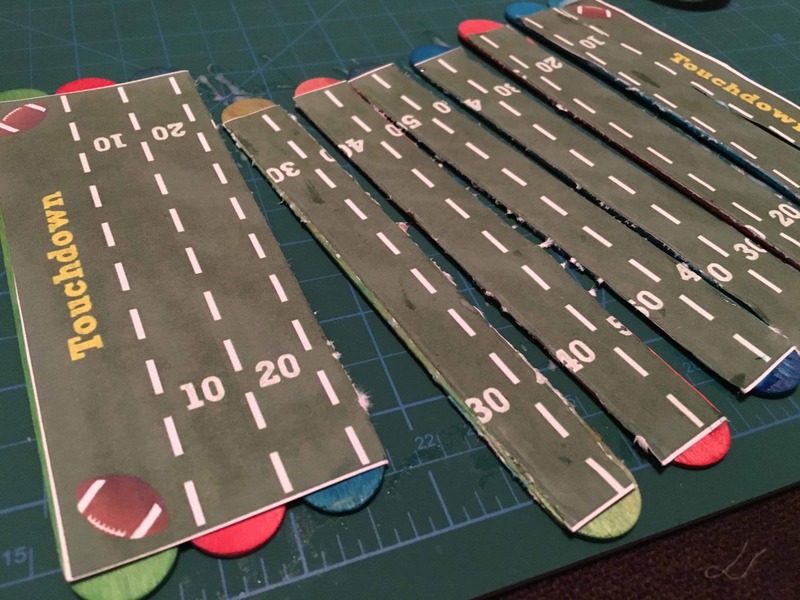 Continuing gluing until the entire paper is covered. 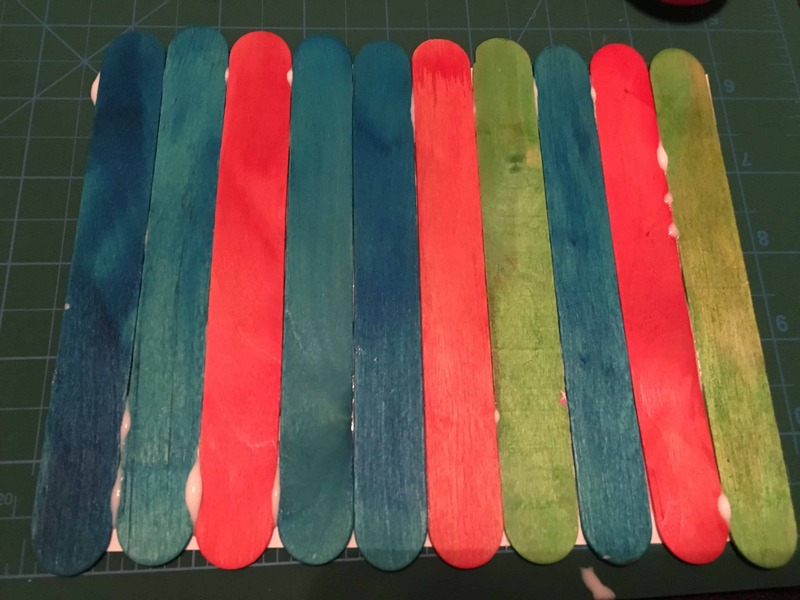 Once dry, cut each popsicle stick apart. 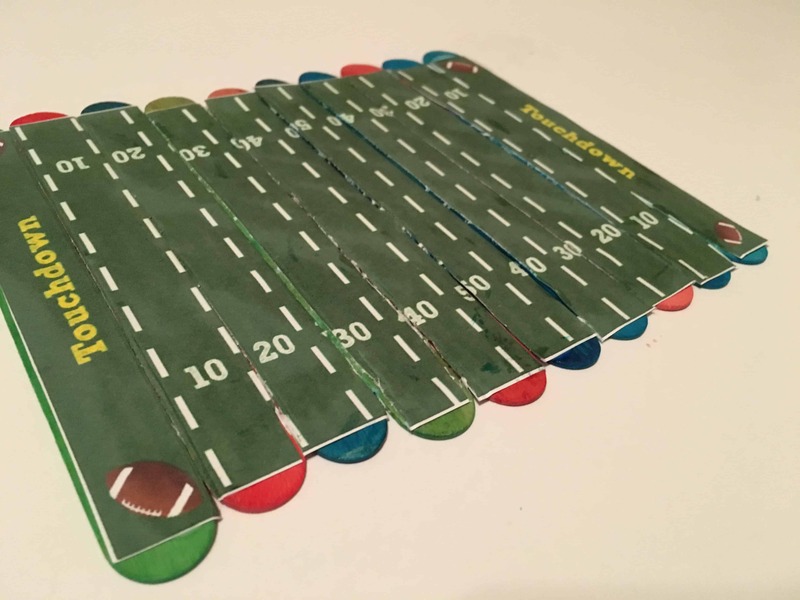 Assemble the puzzle, building a football field! 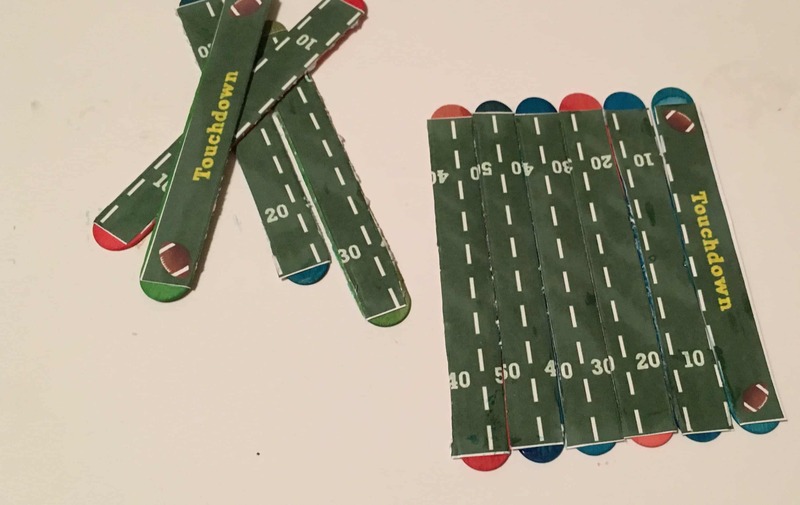 Older children can count by 10’s to complete the field, whereas younger children might just be able to put the ‘touchdown’ sticks on the ends and everything else in between. Whatever way they choose to do it, it will keep them busy, engaged and learning…and loving football! 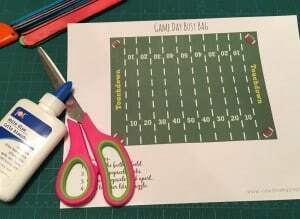 Get your free printable download here! 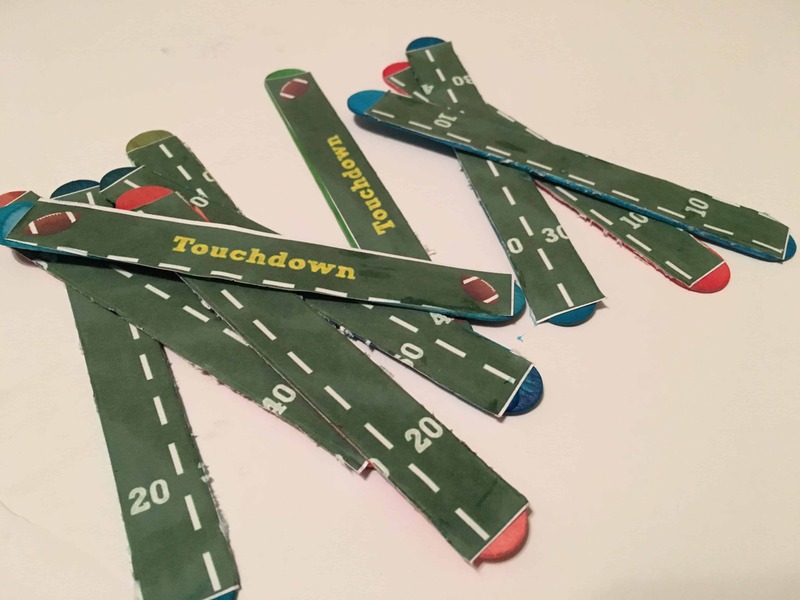 For more fun game day activities, check out these from Twitchetts! Such a cute idea.. my son would love this!